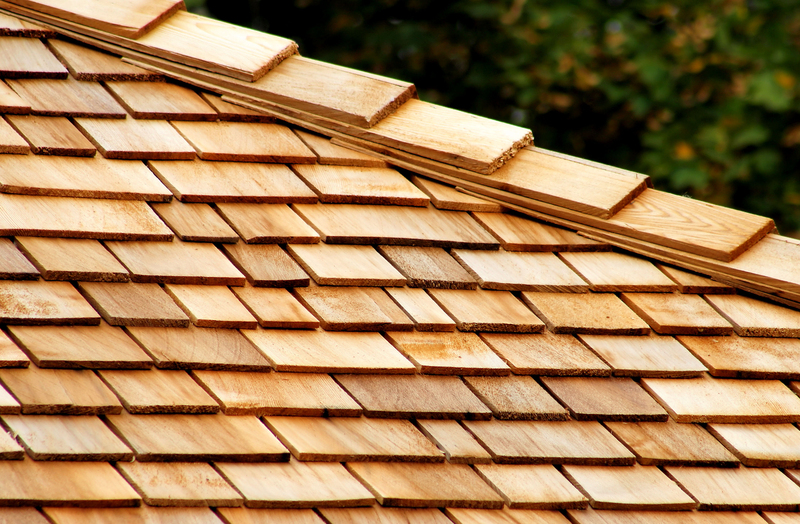 Wooden shingles have been around for centuries. Favored for their rustic appearance, wooden shingles could come from a variety of tree species with colors ranging from red to brown, complementing different architectural styles. Although many people choose wooden shingles primarily for their aesthetic appeal, wooden shingles also offer greater value compared to other roofing materials, in terms of installation and environmental-friendliness. Since wooden shingles are lightweight, they exert less pressure on your roofing system’s support structures. They are also pretty easy to install, repair and maintain. Wooden shingles pose no pollution threat since they are made of natural materials. You can even recycle them once they near the end of their life span. In addition, wooden shingles still deliver superior performance even in areas frequented by high winds and hail storms such as California. Wood shingles have their limitations, but they can still provide adequate strength and moisture protection to your roof. With proper installation and adequate maintenance, they can last up to 50 years! Whether you’re a new homeowner or are having your worn roofing replaced with wooden shingles, learning about the proper care for these roofing materials can significantly extend their usable life. Moisture retention is the number one enemy here. Excessive moisture invites wood-rotting organisms such as mosses and lichens. To keep your roof dry, it must be free of all animal litter, dead leaves, and other sorts of debris as these obstruct water from flowing properly down the roof and into the gutters. Also, low-hanging branches can wear down the shingles or loosen the fasteners that attach them to the roof. If you reside in a woody area, tree branches may hinder sufficient air flow and sunlight to your roof so you may consider trimming, pruning, or removing overhanging trees completely. Installation plays a key role too in making your wooden shingles last long. Poor roofing practices result in inferior, untidy installation that interferes with proper drying and hastens deterioration of the wooden shingles. Improper application of surface coatings, improper spacing of shingles, using low-quality flashing, and inadequate ventilation resulting to condensation are some of the roofing practices to avoid, according to the US National Park Service. It is, therefore, important for you to be vigilant about hiring your Menlo Park or Sunnyvale, CA roofing contractor. Opt for a contractor that’s already well-established within the industry, such as the Menlo Park, CA roofing company Shelton Roofing Co. Check professional backgrounds, recognition , nd awards. For instance, Diamond Certified companies are regarded as providers of the highest quality services. Read client reviews from credible sites. Remember: A longer-lasting wood shingle roofing starts with finding a reliable contractor.